Few days of the year are as romantically and financially fraught as Valentine’s Day. It can seem that every Feb. 14, singles face high stakes of finding and paying for a date. For those who are coupled up, however, the Valentine’s Day pressure can be just as high to get the perfect gift for their partner — no matter the price. 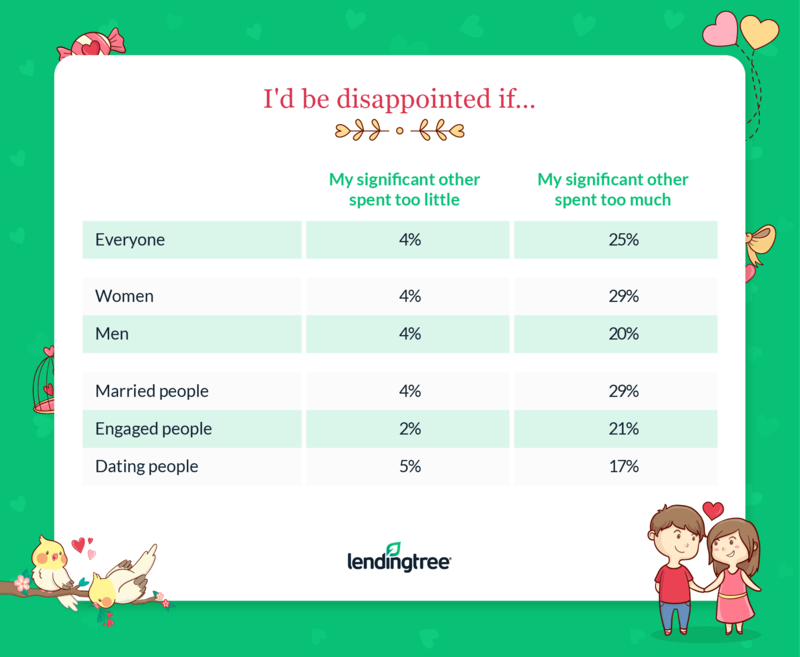 Fortunately for budget-conscious lovers, what most people expect their partners to spend on them is less than what they plan to spend on their partner, according to a new LendingTree survey. We commissioned a survey of over 1,026 people in committed relationships to find out more about how this holiday of romance will affect their finances. Men and women both have the same expectations for how much their partners will spend on them this Valentine’s Day: $39, on average. In other words, men are planning to spend almost two and a half times what their significant others (of either gender) expect from them. Overspending for Valentine’s Day is riskier than underspending. Only 4% of respondents – both men and women – would be disappointed if their partners spent less than they expected. But 1 in 4 would be irritated if their partner spent too much. 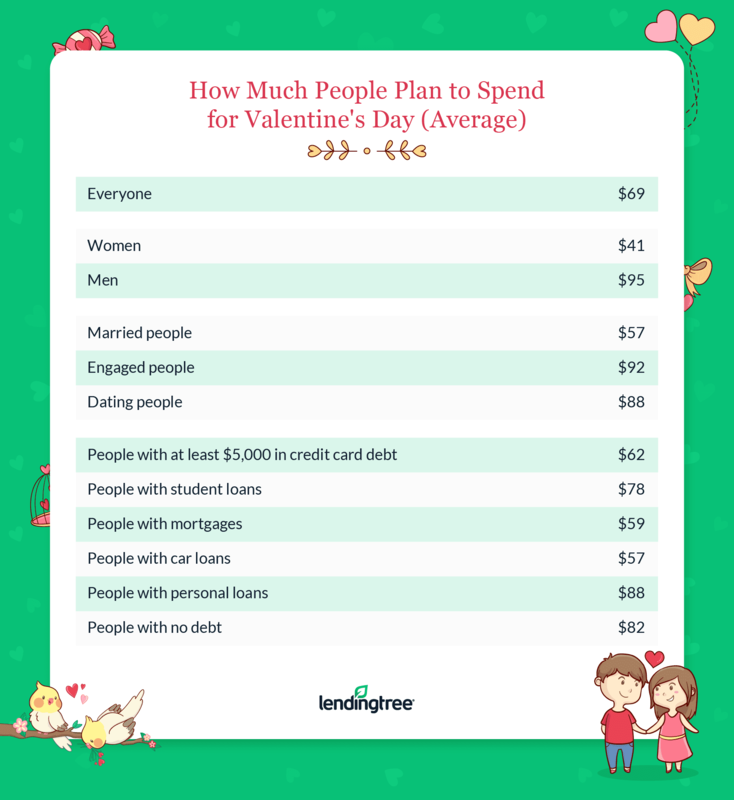 People with auto loans, mortgages and substantial credit card debt plan to spend less for Valentine’s Day then people with student loans, personal loans or no debt at all. Nearly 1 in 3 want a dinner out for Valentine’s Day, and nearly 1 in 4 say they want nothing. Only 6% want a large gift, such as jewelry or electronics. For Valentine’s Day this year, the average amount people plan to spend is $69. When it comes to who’s spending more or less, the biggest gap is seen between the genders. Men say they plan to spend an average of $95 to celebrate the holiday, while women expect to spend less than half that amount, averaging $41. The stage of the romantic relationship can also affect how much people plan to spend on the holiday. Those who are married spend less, $57 on average than those who were dating, at $88. Engaged individuals say plan to spend the most on Valentine’s Day, averaging $92. Interestingly, certain types of debt also correlated to higher or lower levels of Valentine’s Day spending. The average reported spending for people with student loans, personal loans or no debt are on the higher end. This could be a sign that these types of debt, or not having debt at all, don’t have a dampening effect on Valentine’s Day budgets. But it’s a different story for paired-up people who also have high credit card balances, a car loan or a mortgage. People with these financial responsibilities say they plan to spend a third less than people who just have personal loans, student debt, or no debt. These big financial commitments can eat into a person’s budget, leaving them with less money left over for romantic gestures. The difference in average spending between those with high credit card balances and personal loans is particularly interesting, at $62 and $88 respectively. Since debt consolidation is the most common reason people get personal loans, this could suggest that taking such a step is a wise move. Consolidating debt with a personal loan can lower monthly payments and even lessen interest costs, making debt more manageable. People in a romantic relationship probably don’t have to overthink their Valentine’s Day gift or expense, our survey finds. The most desired gifts for this holiday are classics, such as dining out (32%) or receiving a card (29%). In fact, the third-most desired gift is no gift (24%). If you’re still not sure how much is appropriate to spend on your partner for this romantic holiday, our survey shows that keeping costs low could be the safer bet for everyone. 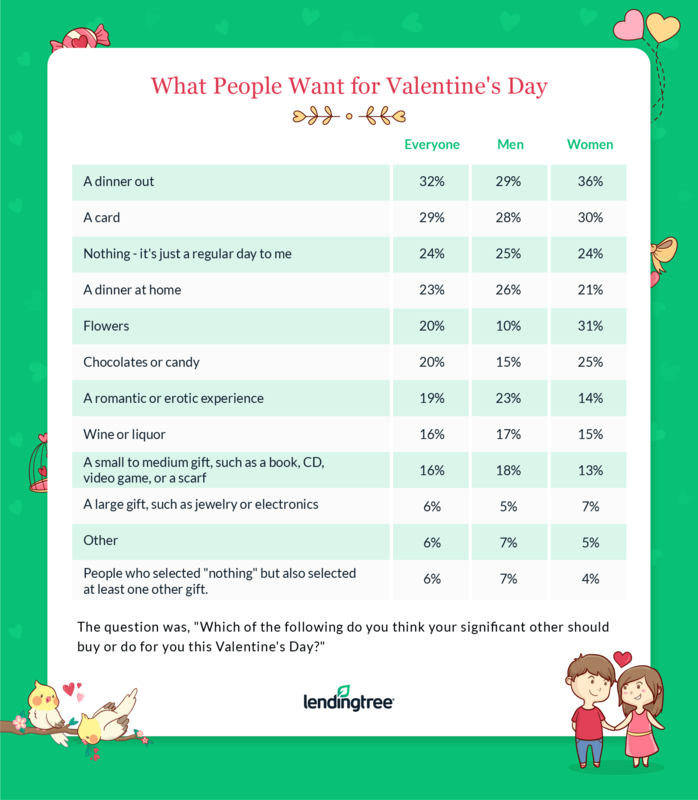 People in a romantic relationship are much more likely to be disappointed if their significant other spent too much for Valentine’s Day (25%) than if they spent too little (4%). Women were significantly more likely to be disappointed by a partner’s overspending (29%) than men (20%). Similarly, people who are married say they’d be more disappointed by overspending (29%) than those who are dating (17%). 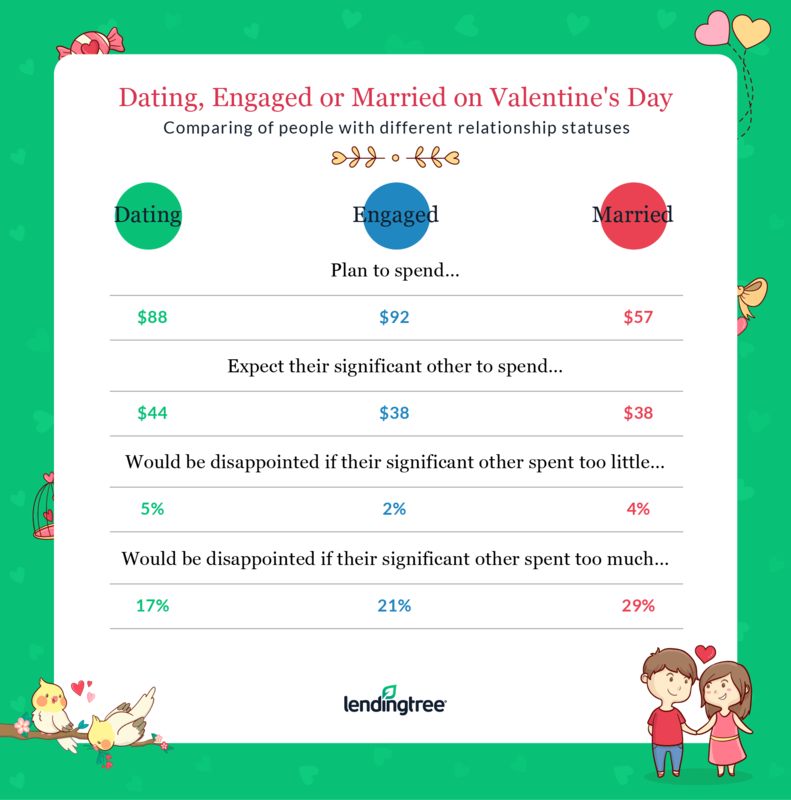 What people in committed relationships spend for Valentine’s Day also varies according to how far along the relationship is: dating, engaged or married. Lovers still in the dating stage had the highest expectations of their significant others on Valentine’s Day. They expected their partners to spend the most on them for this holiday, $44 on average. They were also the most likely to be disappointed by a cheap gift and less likely to be upset by a partner’s overspending. Lastly, married people are the most likely to be disappointed if their partner overspends for Valentine’s Day (29%). This could be a result of combined finances. Since married couples are more likely to share funds, one partner is more likely to be directly affected if the other blows the budget for this holiday. Spending on Valentine’s Day also varies widely between generations, our survey finds. In general, couples from younger generations plan to spend far more than those in older generations. This suggests that Valentine’s Day celebrations are a bigger deal for young adults who are still very focused on romantic partnerships. Respondents who are part of Generation Z, for example, plan to spend $113 on average for Valentine’s Day — at least $20 more than any other age group. Millennials are the next-highest spenders for the holiday, planning to drop $83 on average. They also report the highest expectations for what their significant other will spend on them, at $49. 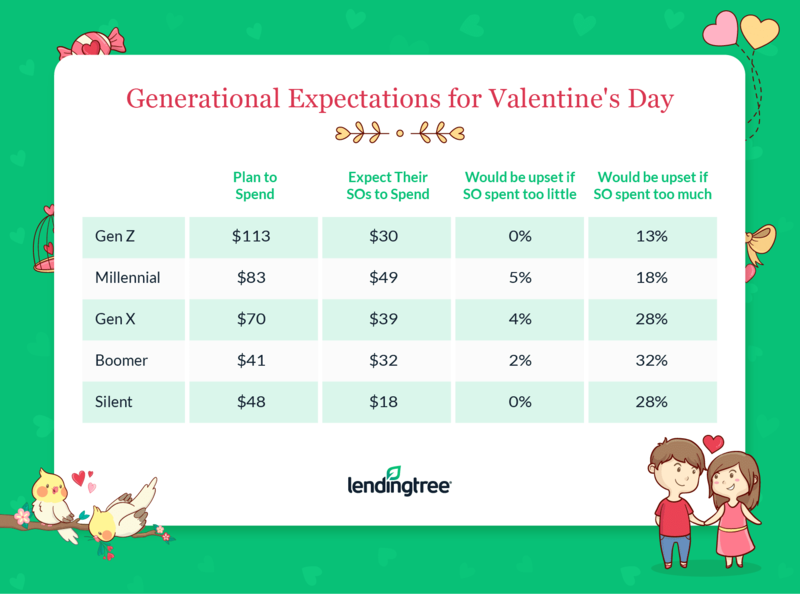 Older generations — including Generation X, baby boomers and the silent generation — were much more likely to be disappointed if their significant other overspent for Valentine’s Day. Boomers and the silent generation planned to spend the least on the holiday, too, at $41 and $48 respectively. Most people’s expectations for Valentine’s Day are pretty down-to-earth, our survey finds. While most people plan to spend $69, they expect their partner to spend less — just $39. And far more people would be disappointed if their partner overspent than if they spent too little. These findings suggest that most couples could safely scale back Valentine’s Day spending without any risk to their relationship. Consider these along with your partner’s preferences, and you can figure a thoughtful yet affordable Valentine’s Day gift. If your budget is truly strapped ahead of Valentine’s Day, however, this could be a sign to take another look at your spending and bills. Many people are still in debt from the holiday season and could be feeling the burden of these new balances. If that’s you, debt consolidation or credit card refinancing could be a smart strategy to employ. Try out our debt relief calculator to see how this move could affect your debt costs each month and over time. Overall, our survey results are proof that most people won’t have to spend much to make their partner feel loved and appreciated. And that reassurance alone can be a big relief to cash-strapped couples feeling the pressure to create a magical Valentine’s Day. LendingTree commissioned Qualtrics to survey 1,026 Americans who are currently in a committed relationship. The survey was conducted online from Jan. 10 to Jan. 15, 2019. 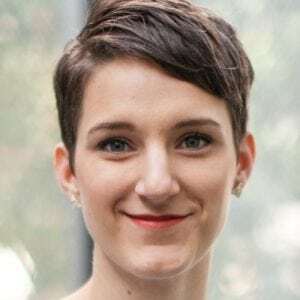 Generations are defined as follows: Millennials were born between 1981 and 1996, Gen Xers were born between 1965 and 1980, baby boomers were born between 1946 and 1964 and members of the silent generation were born between 1928 and 1945. When Do People Fall Behind On Their Bills?